Molecular imaging literally means visualization of molecules but more generally comprises a number of techniques used to visualize single cells or clusters of cells, cell processes and individual receptors and other biomarkers. Its applications are multiple, ranging from imaging of a single biomarker to following tumour growth in time. In cancer, molecular imaging can be applied in both diagnostics and therapy. The main goal in oncology is to differentiate tumour cells from healthy cells in order to reduce tumour load and, subsequently, morbidity. 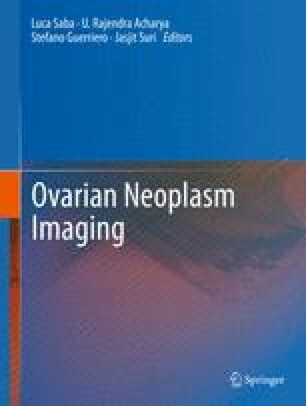 This will be addressed in this chapter, together with the basic requirements and techniques in molecular imaging, with the focus on the preclinical and clinical application in ovarian cancer. Cordero AB, Kwon Y, Hua X, Godwin AK. In vivo imaging and therapeutic treatments in an orthotopic mouse model of ovarian cancer. J Vis Exp 2010;(42). pii: 2125. doi: 10.3791/2125.